In May this year, Projects Abroad Jamaica launched a country-wide campaign to combat homelessness and the stigmas attached to it. The campaign, dubbed Operation SHARE (Support, Help, and Respect Everyone), sought to encourage public awareness and sensitization surrounding the issue of homelessness. Additionally, Operation SHARE aimed to lobby the government to create sufficient rehabilitation centres for homeless people across the island. This campaign culminated in an island-wide event on World Homeless Day on October 10th. World Homeless Day is an annual event that seeks to raise awareness of homeless people’s needs locally, and to provide communities with the opportunity to get involved and make a difference. 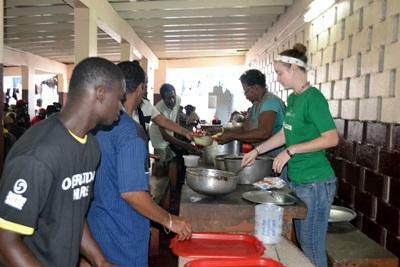 Since 2008, staff and volunteers in Jamaica have taken part in monthly outreach activities related to homelessness, providing care to about 100 people each month. Through Operation SHARE, the team wanted to expand on their current work and spread their message of understanding and compassion further. Throughout the six-month campaign around Operation SHARE, 13 public education and sensitization sessions were held in major towns across the island. In addition, social media campaigns encouraged members of the public to get involved and care packages were handed out to the homeless on a regular basis. During town tours, participants raised public awareness of issues related to homelessness through flash and freeze mobs, and also collected data on homeless individuals in each town. The Projects Abroad Jamaica team started preparation for World Homeless Day at the beginning of October, creating care packages to hand out and even taking part in local media interviews about the project. On the day, the Projects Abroad team provided care packages and wish-list items, such as torches and socks, to homeless persons in 12 of the 14 parishes of Jamaica. 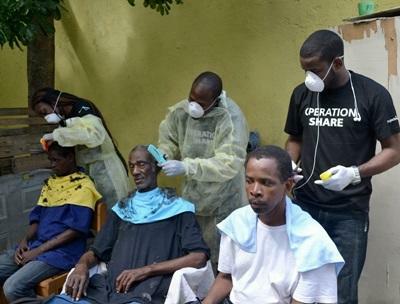 Medical checks, grooming services, and food were provided in six parishes. Thanks to the dedication of the staff and volunteers, over 500 homeless and street persons were catered to throughout the day. Volunteers from different projects came together to assist with the activities, including Disaster Management intern, Nell Bender from the US, who offered barber services, pedicures, and massages in Kingston. Others simply spent time with homeless individuals, listening to their stories or singing, dancing, and playing games together. The activities on World Homeless Day were a great success and a testament to the hard work and commitment that the Jamaica staff and volunteers put into the Operation SHARE campaign. Read more about the projects we offer in Jamaica.